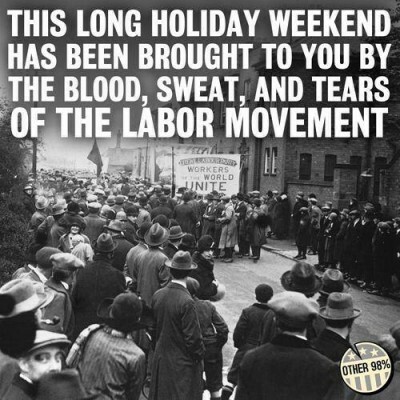 As Americans celebrate Labor Day, expect little meaningful talk about labor itself. Or about the great equalizer in the everyday engagement of labor and capital: the union movement — and its decades-long decline. And yet, for a great portion of the American populace, that decline has already had a profound impact on their quality of life. This spring, researchers at the Economic Policy Institute (EPI) reported that in the last two years, 2014-2015, union participation dropped to a little more than 11% of the US workforce. That’s down dramatically from more than one in three workers who were represented in 1945. While union representation plummeted, the highest paid 10% of workers took an even larger share of the country’s total wages. In 1945, the top 10% earned just under a third of total wages; in recent years, their share has grown to nearly half. That’s the biggest slice of the wage pie the upper crust has seen since 1917, the earliest date for which the EPI analysts could find reliable data. Judging by the recent upsurge of populism — manifested on the right in the rise of Donald Trump and on the left by Senator Bernie Sanders’s (I-VT) campaign — voters continue to rank the economy, the decline of the middle class, and the nation’s growing wealth inequality, as hot button issues. 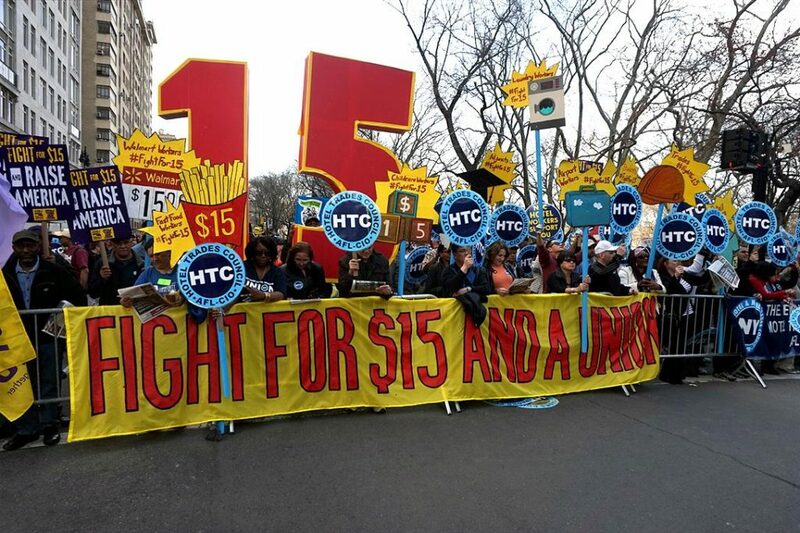 The demand for a $15 dollar minimum wage has gone national, boosted by a dynamic grassroots movement that has prompted legislative action at the municipal and state levels across the country. This fall voters in several states will get to weigh in on a related ballot question, which would mandate an $7.75-an-hour raise in the federal minimum wage, which has been stuck at $7.25 an hour since 2010. Despite the drop in the number of American workers represented by unions, when a union does flex its muscles the results can be impressive. 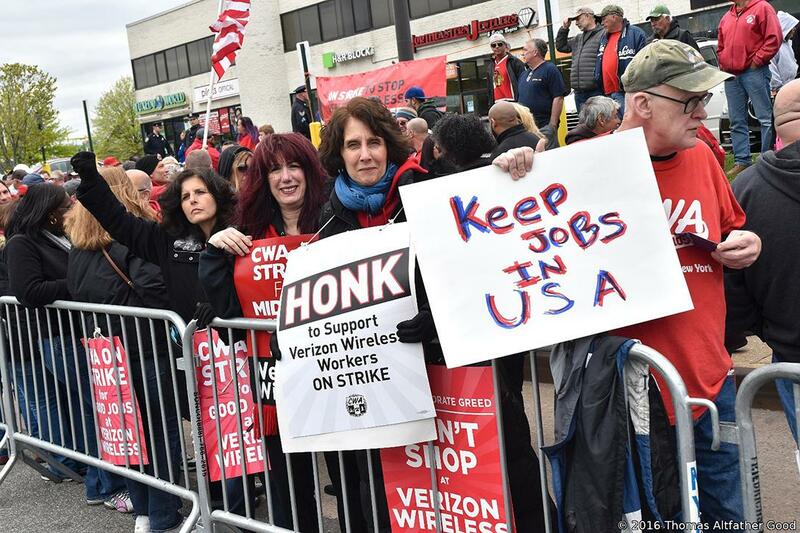 A case in point is the recent Communications Workers of America (CWA) strike against Verizon last April. When the six-week strike ended, and the smoke cleared, the CWA had won a 10.9% raise for workers, to be phased in over four years, plus enhanced job security, expansion of the union’s jurisdiction and the promise of more new hires. CWA also played an astute geopolitical hand, taking full advantage when a group of Filipino call-center workers, in an act of self-sacrificing solidarity, refused the overtime generated by the strike. When Verizon’s Filipino management called down local law enforcement on its workers. It only drew global press attention to Verizon’s outsourcing, something the company had attempted to downplay. “The company over in the Philippines reacted so stupidly by calling in an armed military SWAT team when all we were trying to do was meet with management,” Master told WhoWhatWhy. The strike was settled not long after. Verizon Strike National Day of Action, May 5, 2016. The Disconnect Between Making and Earning. But one successful strike can hardly reverse the erosion of the middle class that has been in the making at least since the 1970s. That’s when American workers stopped seeing their wages grow at a pace with their increasing productivity. Last month the Economic Policy Institute reported that from 1973 until last year, while productivity was increasing more than 73%, hourly pay for workers went up only 11% — in other words, productivity grew by more than six times the rise in wages earned by workers. For his part, Trump, the GOP presidential nominee, has offered only bromides, pledging “to make America great again.” He promises to return the nation to those halcyon days, post-World War II, when America was a manufacturing dynamo that had saved the world, and was populated by middle class households that had both economic leverage and buying power. And there are strong macro signs that things are going to continue to be problematic when it comes to the power balance between capital and labor, not just for American workers, but for their counterparts around the world. For decades now American workers have been losing their leverage, as the world’s biggest corporations were able to successfully play one country’s workforce off another. But now the same corporate interests, which sparked the race to the bottom for wages and worker benefits between countries, are increasingly turning to robots and automation to reduce their human workforce planet-wide. A few months back the BBC reported Foxconn, the Chinese-based manufacturer that is the key supplier for Apple and Samsung, had cut its 110,000 workforce by more than half — down to just 50,000 — with the introduction of robots. “Economists have issued dire warnings about how automation will affect the job market, with one report, from consultants Deloitte in partnership with Oxford University, suggesting that 35% of jobs will be at risk over the next 20 years,” reported the BBC. But, bottom line, there will be a whole lot fewer jobs. Even as the $15-an-hour living-wage movement gains traction with the public, captains of industry are quick to counter by invoking the threat of automation. “I was at the National Restaurant Show yesterday and if you look at the robotic devices that are coming into the restaurant industry — it’s cheaper to buy a $35,000 robotic arm than it is to hire an employee who is inefficient making $15 an hour bagging French fries — it’s nonsense and it’s very destructive and it’s inflationary and it’s going to cause a job loss across this country like you’re not going to believe,” former McDonald’s USA CEO Ed Rensi told FOX Business in an interview. 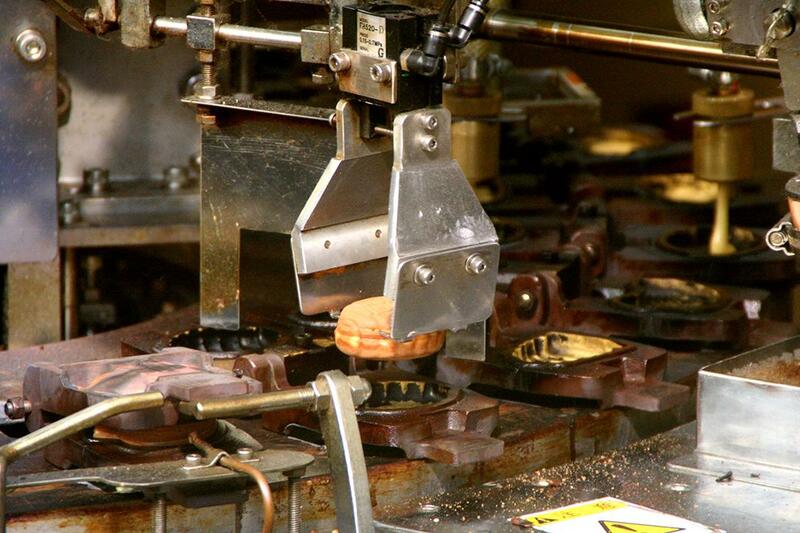 The threat of automation has been with us for decades. Historically the attitude has been that in the long run, this process would create more jobs than it destroyed. But experts say this time is different, and it is not just the specter of driverless cars and trucks. A few months ago the Financial Times reported that China and Japan were going through a robotic explosion. Globally, over the last few years, the market has grown at a compounded rate of 17% per year. By 2019 the global robot market is expected to be worth $135 billion. Paradigm Shift to a Post-Work World?. 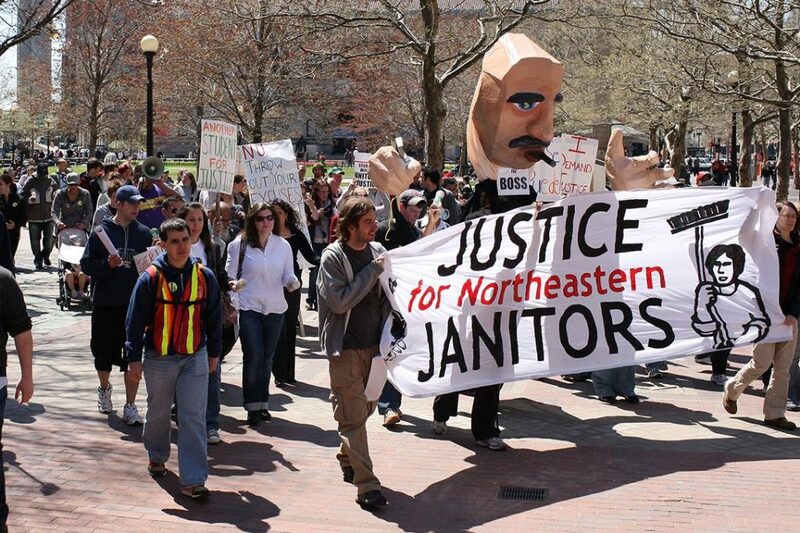 Andy Stern, the former president of the Service Employees International Union (SEIU), is probably best known for his organizing campaign, “Justice for Janitors,” which brought thousands of immigrant workers into a union for the first time, helping to dramatically expand the ranks of the SEIU. But these days, as an academic and author based at Columbia University, Stern believes society needs to come to terms with what he expects to be an increasing scarcity of work as automation slips into a higher gear. Only a universal income, without means testing, can help buffer the US from the socio- economic dislocation that’s going to come from “permanent” job scarcity, Stern contends. He says that the current recovery, considered to be the most anemic since World War II, gives us an idea of what lies ahead. Stern sees the current youth unemployment crisis — with as many as six million 16-to-24-year olds in the US not working and not in school — as a “harbinger” of things to come. Under Stern’s proposal, laid out in his new book “Raising the Floor: How a Universal Basic Income Can Renew Our Economy and Rebuild the American Dream,” adults would get a $1,000 a month stipend, a form of universal social security, that would replace current programs like food stamps and unemployment benefits. It would be paid for with the cost savings from realigning the existing social safety net, and by raising taxes on the highest end earners. “This is an idea that disappeared for 50 years and has resurfaced,” Stern told WhoWhatWhy, pointing out that President Richard Nixon had proposed a Family Assistance Plan that would have also ended welfare but replaced it with the concept of a basic income. 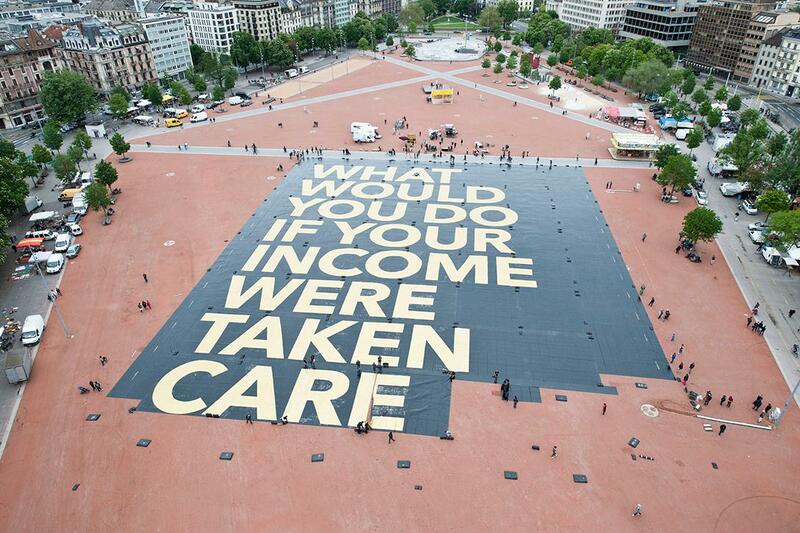 “World’s largest poster” promoting basic income. Finland is preparing to start a two-year experiment to provide a monthly basic income of $600 up to 3,000 for its citizens who are already unemployed and who will be selected at random. The government wants to see if the basic income pilot will cut bureaucracy, boost employment, reduce poverty and the social isolation that it is often associated with it. The provincial government of Ontario, Canada, has also announced plans to roll out its own experiment offering a basic monthly income. Slide in US Workforce Decades in the Making. Since the 2008 meltdown a declining unemployment rate has been offered as proof that the US is in recovery. Meanwhile, the percentage of Americans actually in the labor force, which the Bureau of Labor Statistics (BLS) defines as anyone working, or looking for a job, has also been declining. For decades the steady growth in workforce participation, along with increased new household formation, lifted the US into its post-World War II economic expansion. But years after the Great Recession these twin engines for prosperity are stalling out. In 1948, 59.3% of Americans were in the labor force. That number grew, as more women joined the labor force, so that by 1997 it peaked at 67.2%. But since then the rate has declined and is now in the low 60s, something not seen since the 1970s, suggesting that there’s something long-term going on that’s different. BLS predicts the participation rate will drop to 61.6% by 2022. What accounts for this? Outsourcing? Automation? Some not so obvious factor, like the increase in the percentage of young people going to college? In the late 1960s just one in four opted for higher education. These days it is closer to 40%. Another possible factor is the aging of the US population, with 10,000 Americansturning 65 every day, many of whom will retire and drop out of the workforce. And another factor: For decades, during the war on drugs, the US came to lead the world in the percentage of the people it incarcerated, which resulted in more than 2 million people in jail and not on the job. One more possible contributor to the drop in workforce participation: Increasingly, the US population has become sidelined from work by disability. In 1970 just 1.7% of Americans were on disability. Today it is 5.8%. Whatever the reasons, the implications are significant for the nation: Just as the bill for keeping the social contract with the baby boomers comes due, a smaller percentage of the population will be hard at work to pay for it. Several million Americans are underemployed and millions more have left the workforce. In what will be the third Presidential election since the start of the Great Recession, the candidates will, once again, call for the renewal of the American Dream without a trace of irony. The US is in the midst of a profound shift that is having generational consequences. 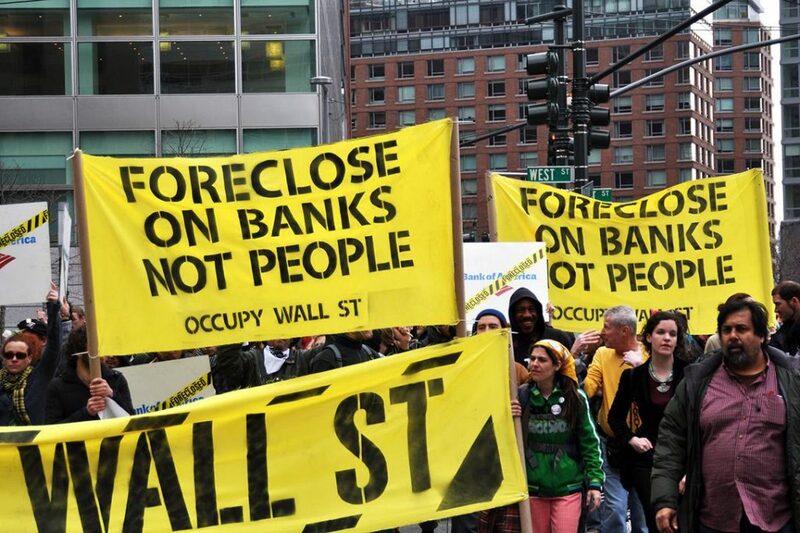 Coming to terms with it means re-assessing the ways that people have been thinking about labor and wealth for centuries — back to the transition from feudalism to the emergence of mercantilism.